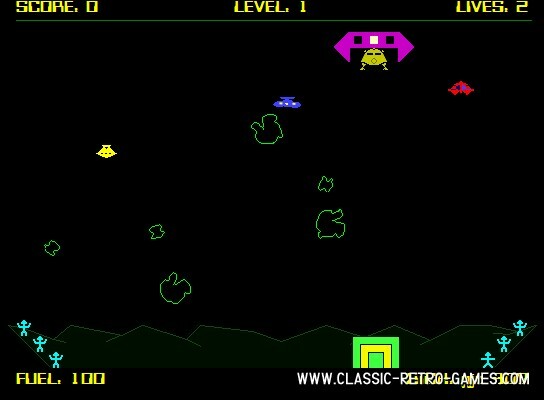 This 1979 arcade game by Taito combines aspects from Lunar Lander and Space Invaders. The game was release under different names for various home computers aswell. Enjoy this remake for Windows. Currently rated: 4.3 / 5 stars by 4 gamers.